Love the flavor but not all the fat and salts? 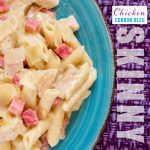 Skinny Chicken Cordon Bleu Casserole is spot on and a perfect solution to those who are more health conscious with a light creamy sauce and all the flavors you come to expect from Chicken Cordon Blue. Let’s get to the Skinny! Haha… This recipe cuts the fat and salts from my full fat version of Chicken Cordon Bleu. This casserole is truly wonderful and we love it. I’ve taken this recipe to friends and neighbors when they need a little extra help and I’m always thrilled to hear that it was eaten right up. We won’t pretend to think that this recipe is low carb, but it has cut the fats and salts which makes this recipe a Skinny version of my Chicken Cordon Bleu. 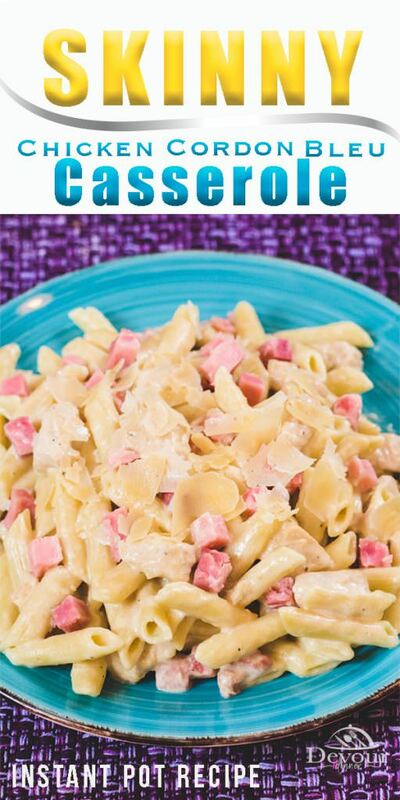 Please take a look at this recipe, it’s loaded with creamy goodness and is delicious. However, don’t be fooled by this great Skinny Chicken Cordon Bleu. The flavor is still the same and you’ll be amazed what Evaporated Milk can do to make you think you are eating a cream sauce. 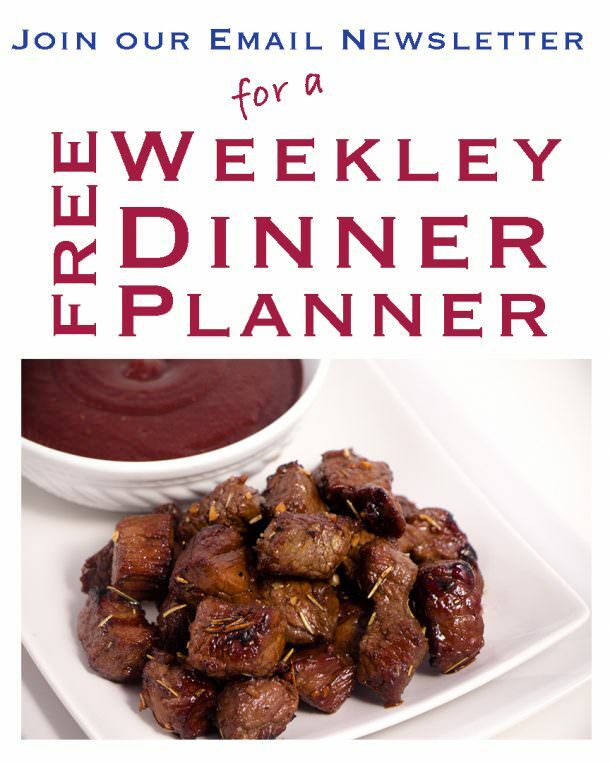 I have found with this recipe that the sauce is very thin and needs time to cool. 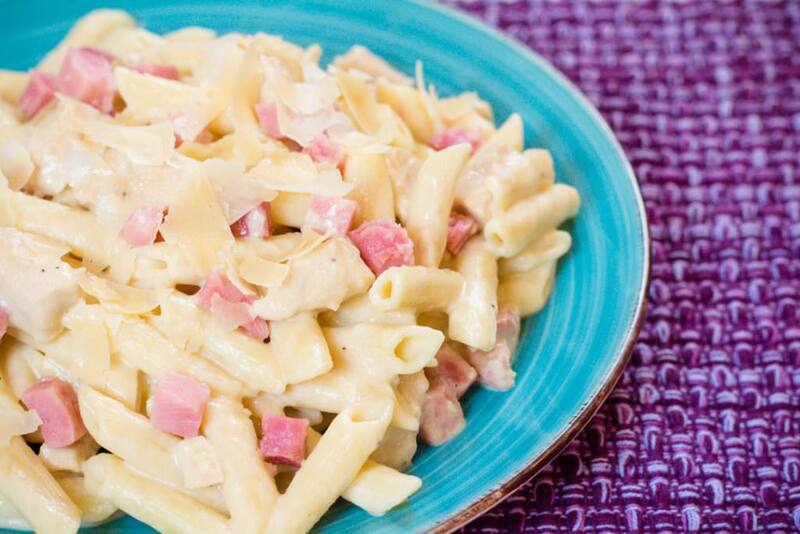 As it cools the sauce thickens up and coats the pasta, chicken and ham nicely. So give it 10+ minutes to cool, and give it a stir to bring the sauce up from the bottom so the pasta and meats on top can get a nice coating of the yummy sauce. How much time will it take to make? 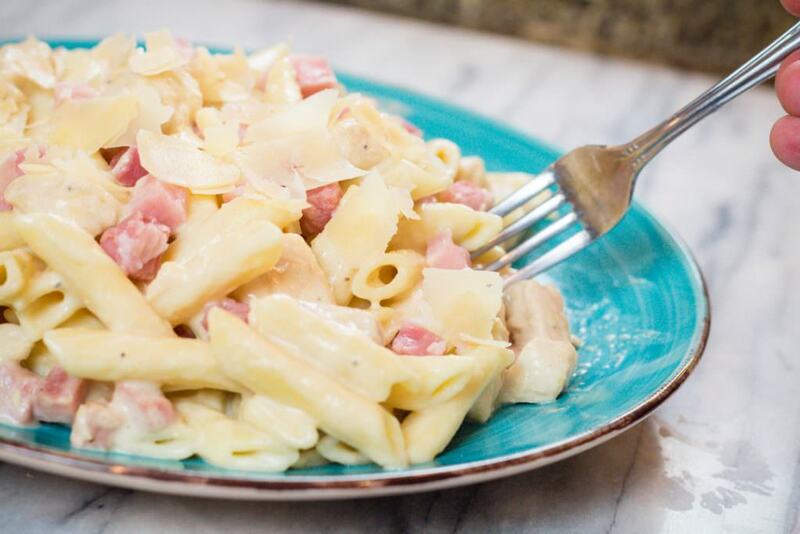 Skinny Chicken Cordon Bleu is really easy to throw together and from beginning to end can be made in about 25 minutes which includes the time under pressure in the Instant Pot. Serve your Skinny Cordon Bleu with some steamed veggies to top off this skinny meal. To be fair, my son also has ranked this recipe. As a mom I commonly have him and other family members rank recipes so I know how well they liked it and how often I should make it again. Skinny Chicken Cordon Bleu was given an 8 out of 10 score. My son said “It’s not as creamy as the other, but still really tastes good” . He also went back for seconds and a small helping of thirds if that tells you anything. haha..
What is missing in the Skinny Chicken Cordon Bleu Recipe that the other Chicken Cordon Bleu recipe has? Let’s get down to the nitty gritty. The fat! 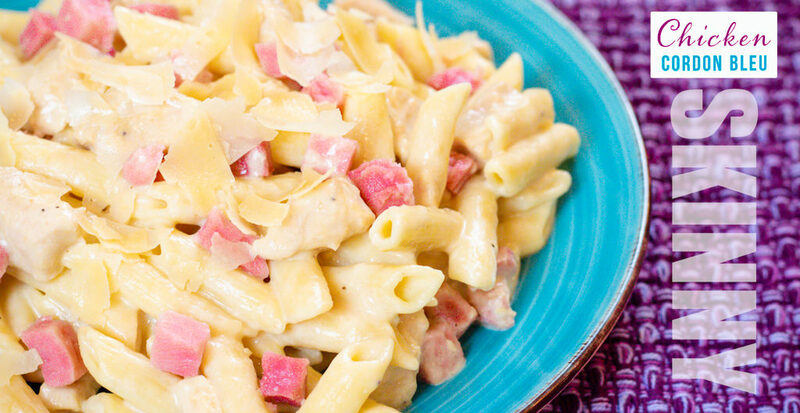 The full fat version has heavy cream and cream cheese making a super creamy sauce. 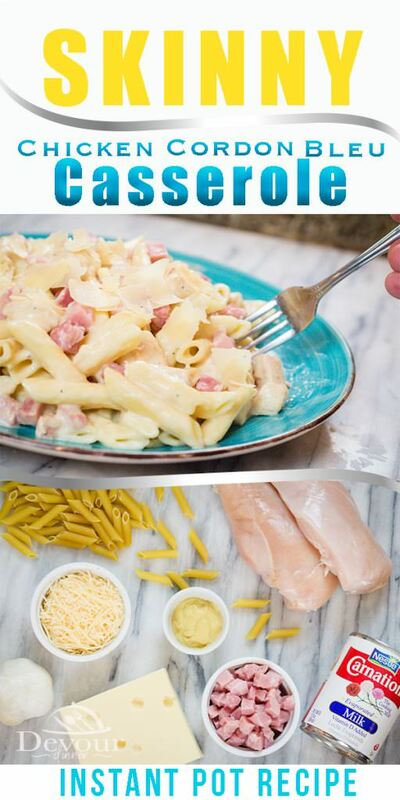 The pasta is also cooked with Chicken Broth, so the Skinny Chicken Bleu has less fat and sodium making it a much healthier option between the two recipes. Can I add breadcrumbs, crushed crackers or potato chips on top? The answer is Yes! Of course you can. However keep in mind, whatever you add to this recipe also adds to the fats and sodium etc. Can I substitute any ingredient? Again, the answer is Yes! You can substitute out the water for low sodium broth or penne pasta for bowtie pasta. You can substitute many ingredients but it’s important to have the same amount of liquid in the Instant Pot so the Pasta will cook properly. The sauce for this recipe is very thin. Allow the recipe to cool for 10+ minutes, stirring occasionally. As the Skinny Chicken Cordon Bleu cools, the sauce will thicken nicely. The trick is to stir and allow the pasta to cool down. Melt Butter and add garlic to Instant Pot. Saute’ cubed chicken in Instant Pot until no longer pink. Add Salt and Pepper, Mustard Powder, and cubed ham. Press Cancel on Instant Pot. Set on Manual for 6 minutes. Quick Release and Stir pasta. Add Evaporated Milk and Parmesan Cheese and Swiss Cheese. Stir to melt. Sauce will be thin. Let sit for 10 minutes. Sauce will thicken as it cools. Serve and enjoy your deconstructed Skinny Chicken Cordon Bleu! A Traditional Favorite made Skinny. 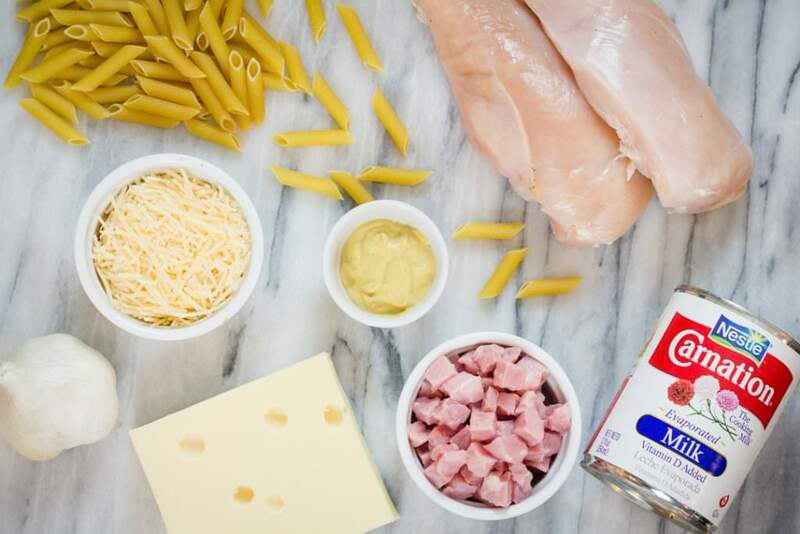 Chicken Cordon Bleu can be full of sodium and fats. 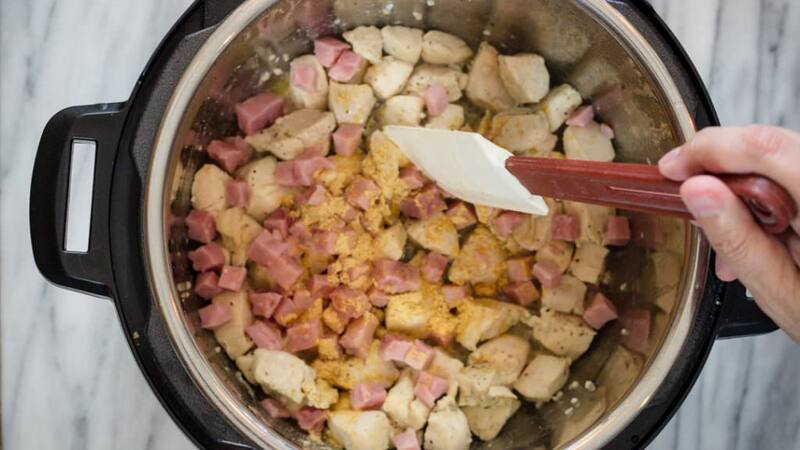 Make Chicken Cordon Bleu Skinny, and lose the Fats and sodium in this recipe. Set to Manual for 6 minutes. Quick Release and then stir pasta. Add Parmesan Cheese and Swiss Cheese and Stir. The directions call for dijon mustard, but it is not listed in the ingredients. How much is it supposed to be?